The area at Moss Side Lane and Lapwing Lane are at risk of flooding from the estuary due to high tides. Areas at risk include properties on Hale Road, Oldgate, St Michael's Close, St Michael's industrial estate, and Ditton Road. Also at risk are properties on Fieldgate and Marshgate. 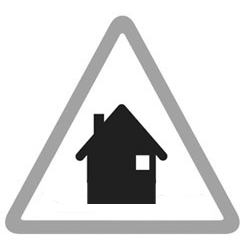 Areas at risk include land and property in the vicinity of Cart Bridge, Green Bridge, and the kennels. Some property on Applewood Grove, Lightoaks drive, Cherrywood Avenue and Redoaks Way. Other property at risk are some caravans on Lower Road.